And get unlimited access to this gym and 1752 others. Just off Coldham’s lane and near the A1134, Nuffield Health Cambridge Fitness and Wellbeing Gym is a modern and well-equipped gym in CB1. 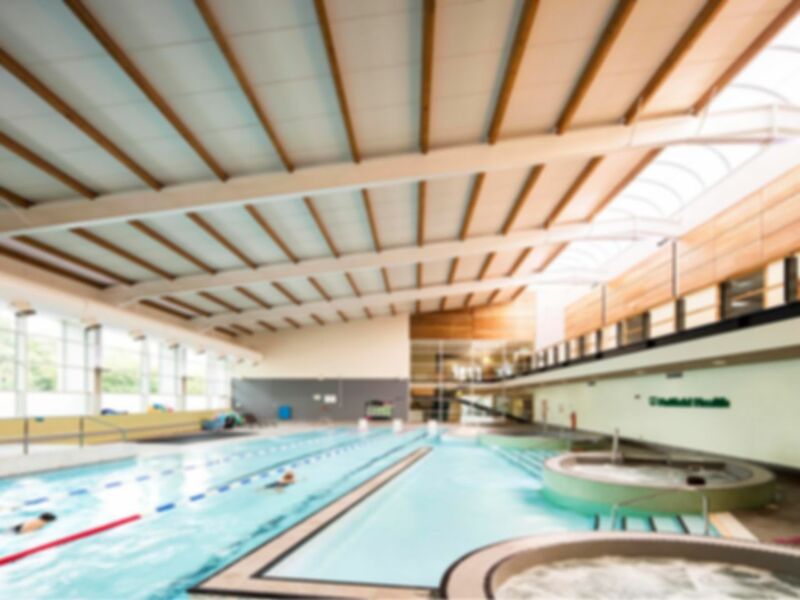 The gym offers treadmills, exercise bikes, squat racks, free weights and bench presses to help you reach your muscular goals and desires, while the 25m pool presents a more soothing alternative to your workout experience. You’ll be glad for the site’s restorative café after using the gym’s high quality facilities too. In between the AA134 and A603, the gym is situated on Cromwell Road, the site’s onsite car park offering a convenient option for drivers. The nearest rail station is Cambridge, a 20 minute walk (1.2 miles) away. The gym is well served by bus with River Lane just a 10 minute walk from the gym. Warm jacuzzi and great sauna. Swimming pool clean and long and easy to swim in. The changing rooms are of a high standard and we were offered a towel to use. Great service. I would recommend a visit to this great gym. Great gym. Pool fairly warm and easy to swim in. Jacuzzi’s pleasent and clean. Sauna great. Parking readily available. Kindly let us use their towels on this one off occasion. Would highly recommend. Very snazzy new gym and good spa area. Good equipment, but really busy when we went after work at about 7pm. We stayed till about 9-10, and had the place to our selves! Lovely facilites and gym. The only thing I didn’t like was the layout of the machines in the gym and the lack of music. Other than that it’s a great gym. Very enjoyable, thank you. It's a really lovely luxury experience at your swimming pool. Your staff need to know a little bit more about pay as u gym, because it's a great system, and it's great that you're signed up as part of it. So tell your staff to be proud, and yes, I'd recommend you! FAB!! Very helpful. Lovely experience. As you would expect from Nuffield, clean, well maintained kit, and a great range of Dumbbells. Only one area to perform barbell bench press, and only two squat racks. So during peak times there isn’t great availability of equipment.